Let’s say you have a lucrative career as a code monkey for Google. The job is okay, things are going well, but maybe life feels a little empty. Maybe you take a week off to do something altruistic, like go to a third-world country to build houses for Habitat for Humanity. 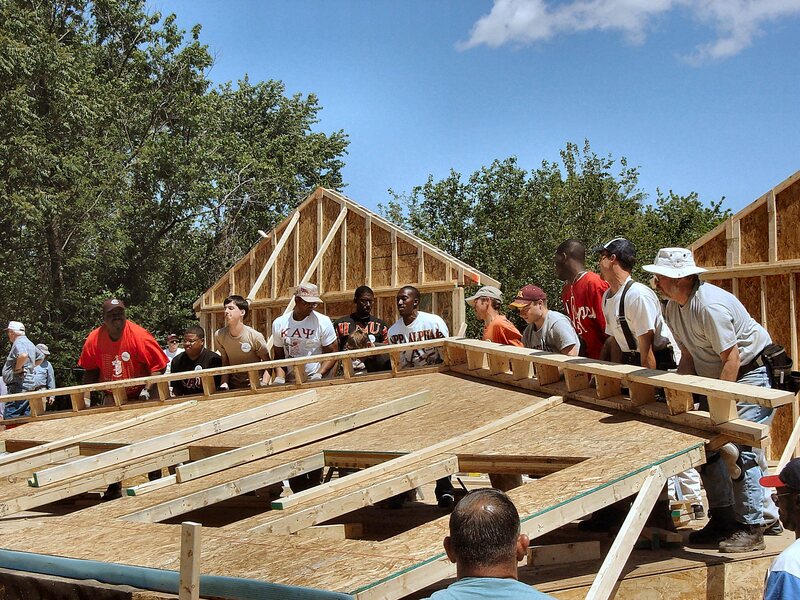 So you spend a few days swinging a hammer, erecting a home for the underprivileged. You come out feeling pretty good about yourself and what you’ve accomplished. But it was a huge waste of time. Because you might make $100 an hour as a developer. For $100 an hour, you could have hired a dozen minimum-wage construction workers to build that house. It’s more effective to just do your day job, get paid, and donate some modicum of that to a good cause. Why would anyone perform unskilled volunteer work? That is the paradox of charitable service. There is a difference between voluntary work and wage-driven work, however. A corporate officer at a Bay Area collaborative consumption company told of an interesting dynamic he observed when introducing their service to new communities: People began to associate a price tag with resources they previously shared for free. Community members were now customers, not friends. A driver in San Francisco might ordinarily give her friend a free ride to the airport. Once she realizes that she can make $50 an hour driving people around the city, that ride to the airport is soured by lost revenue. When you assign a dollar amount to a task, the motivation for performing that task becomes extrinsic. Money sends you to the bottom of Maslow’s pyramid: food, shelter, security. No amount of money will buy you family or self-esteem. Charity work is seen as paradoxical when you only quantify the extrinsic motivators. If intrinsic motivation is taken into account, then the value generated by voluntary labor far exceeds what is gained from a cash donation. There is something magical about free.